Definition: Increased width of periodontal ligament space due to inflammation. The normal width of a periodontal ligament space should be 0.5 mm or less. Location: Associated with a tooth. 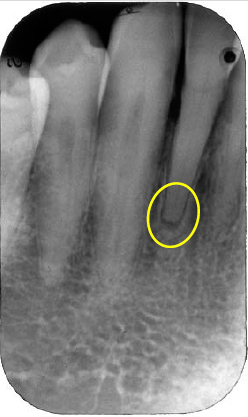 Shape: Periodontal ligament space still maintains shape of root or roots, but is increased in size (more than 0.5 mm). Number: May be single or multiple.